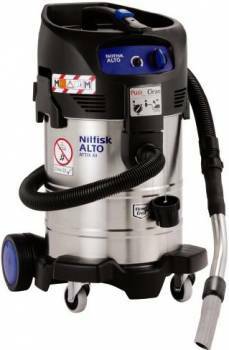 The Nilfisk-Alto Attix 40-0M PC Type 22 health & safety vacuum cleaner is the first in the range of ATEX Explosive Dust Vacuum Cleaners produced by Nilfisk-Alto. It features M Class filtration with the Nilfisk-Alto Push&Clean filter cleaning system. The Attix 40-0M comes with a large 37 litre stainless steel container & a brushless longlife high performance motor.